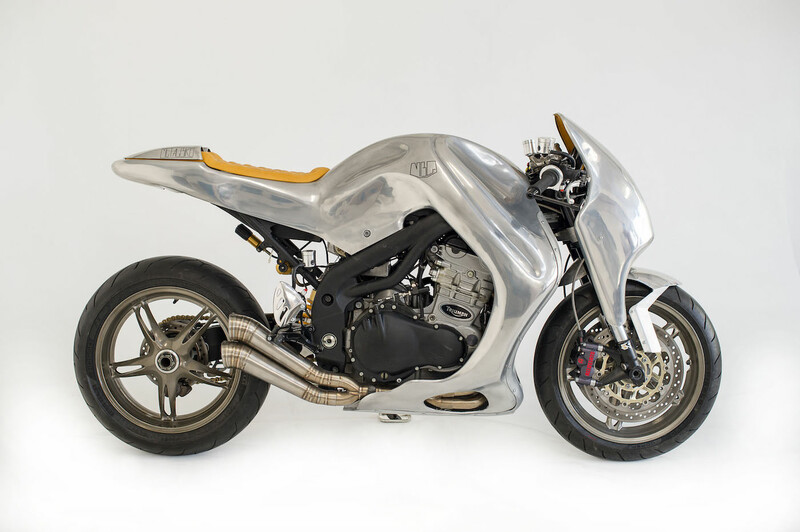 This Triumph Speed Triple custom is quite unlike any other custom Triumph we’ve seen in recent memory. 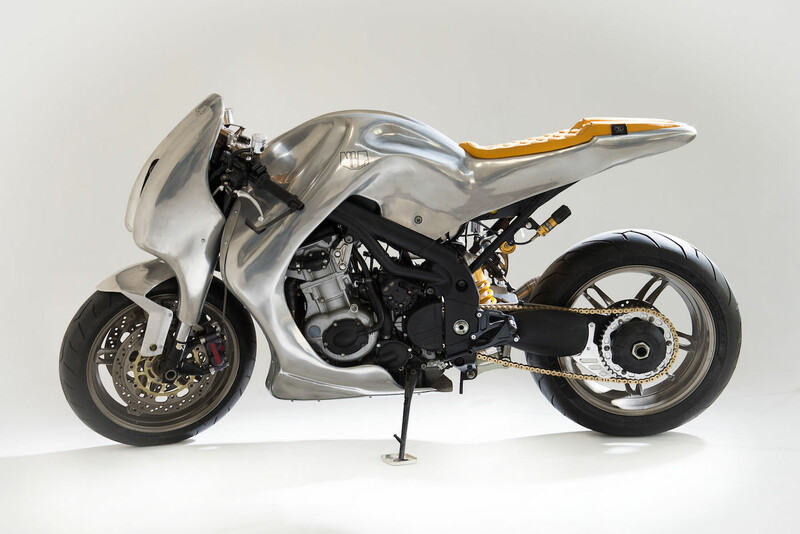 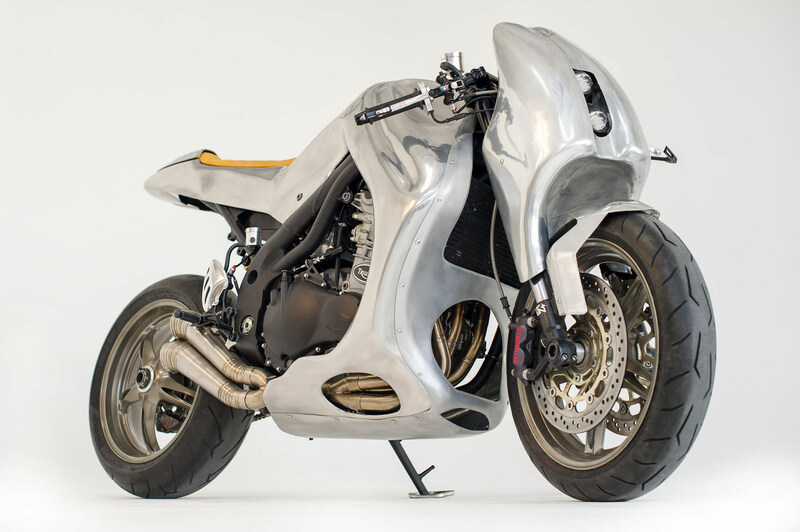 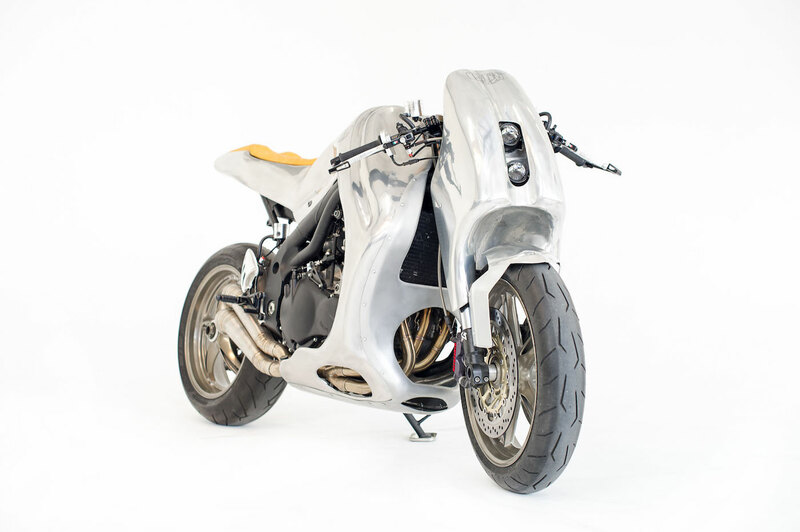 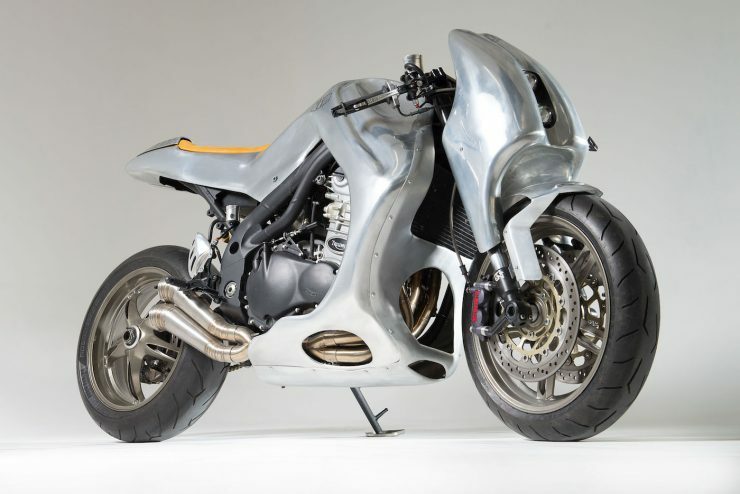 As you may have guessed it’s the latest build from the highly-regarded team at Metalbike Garage, who’ve made a name for themselves for their ability to shape aluminum bodywork into almost impossibly curved shapes. 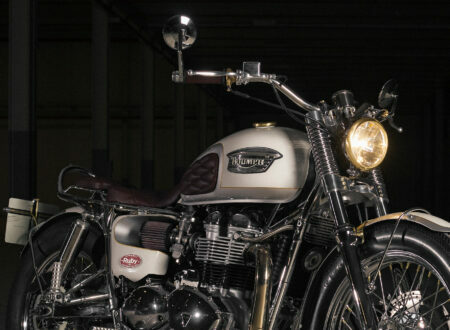 Metalbike Garage is based in the north west of Italy in Collegno, near Turin. 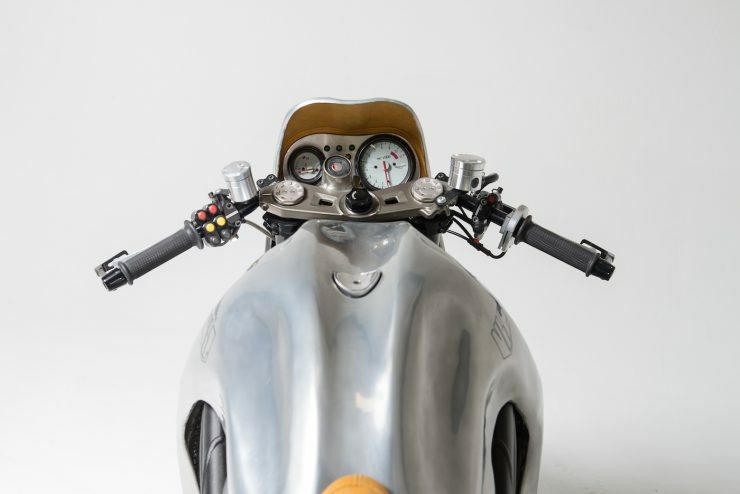 It was founded by Simone Lecca after he left the legendary Italian design and coachbuilding house of Bertone, Lecca had been responsible for shaping many modern Bertone concept cars, and he wanted to shift his focus to two wheels. 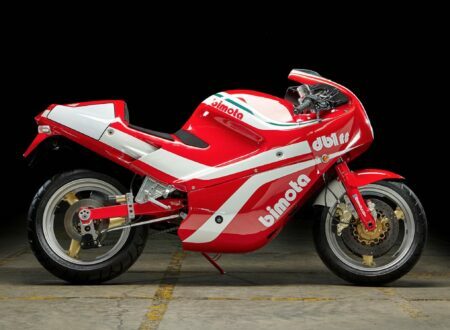 I don’t think many will argue when I say that Italians have always been world leaders in shaping aluminum into stunning motor cars, it’s a craft that goes back generations and is often passed down from father to son. 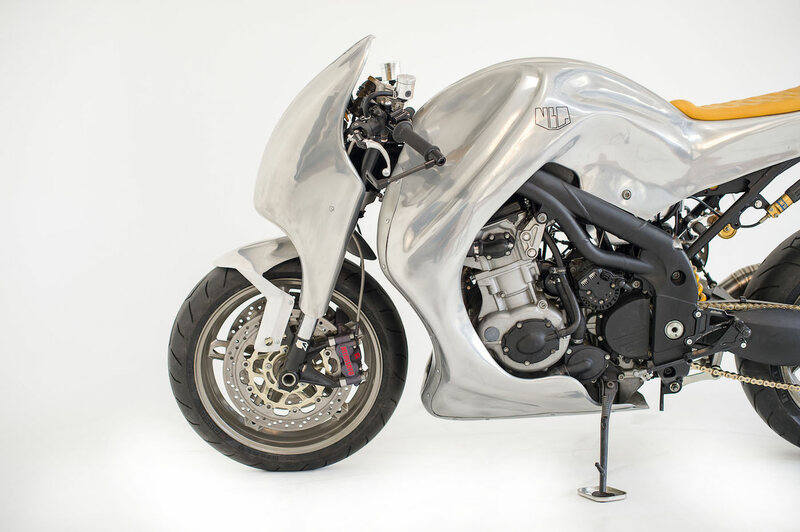 The project to build this Triumph Speed Triple custom, officially named MBG_001, started with a bone stock 2000 model bike. 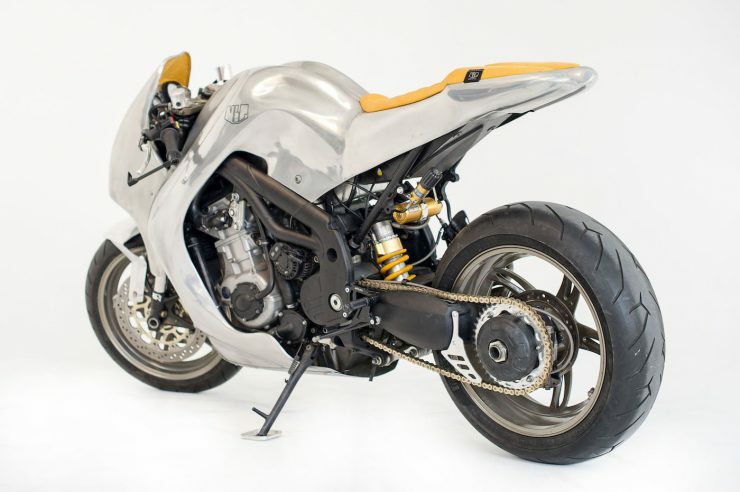 The 2000 model year Triumph Speed Triple is a naked bike with a triple cylinder 955cc engine capable of 120 bhp, a top speed of 150 mph, a tubular aluminum frame, and a kerb weight of 189 kilograms. 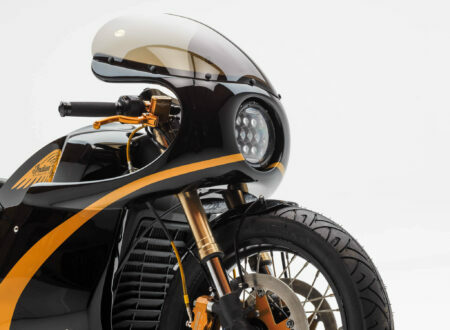 It’s a popular bike for both commuters and weekend canyon carvers, and it’s often favorably compared with the Ducati Monster. 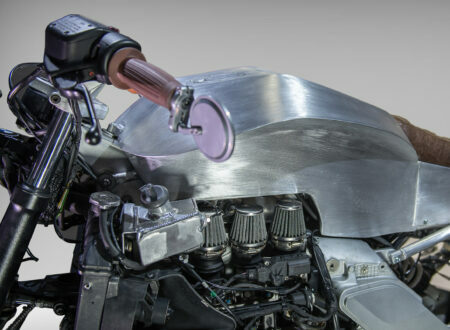 The team at MBG stripped the fuel tank and seat off the Speed Triple and carefully examined its unusual tubular frame. 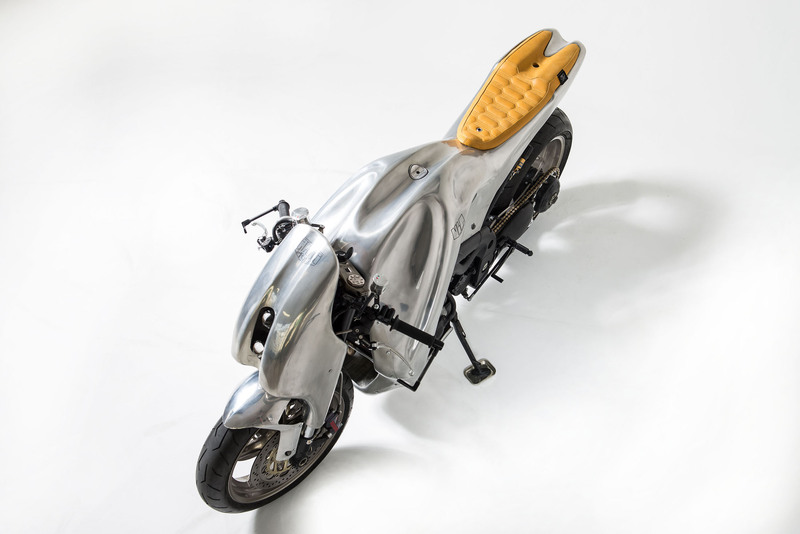 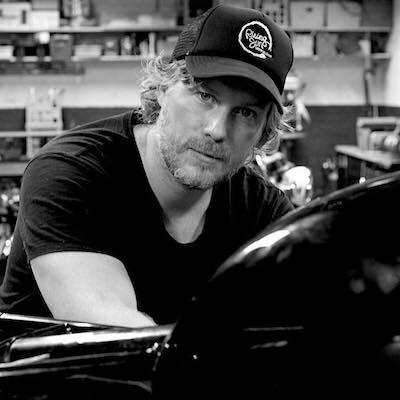 Simone set to work creating a new design that would fundamentally change the way the bike looked – without affecting its highly-regarded balance and handling. Amazingly the body is shaped by hand using only two pieces of sheet aluminum, it involved hundreds of hours of meticulous work to get the new fairing symmetrical. 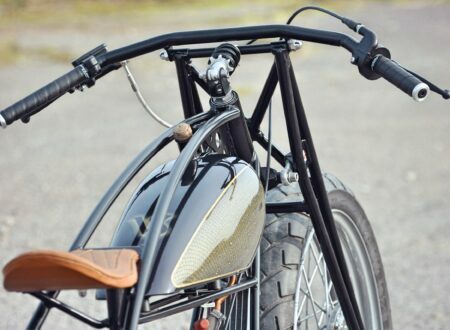 The small front section of the main body was riveted in place giving the bike an almost aeronautical feel, and a hand-crafted leather seat was made bespoke. 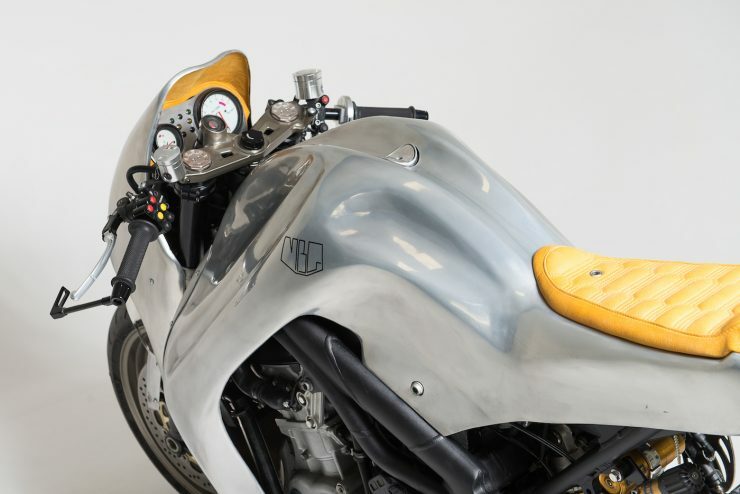 A front fairing and fender were also shaped in house, along with a fuel tank that’s fitted under the main bodywork. 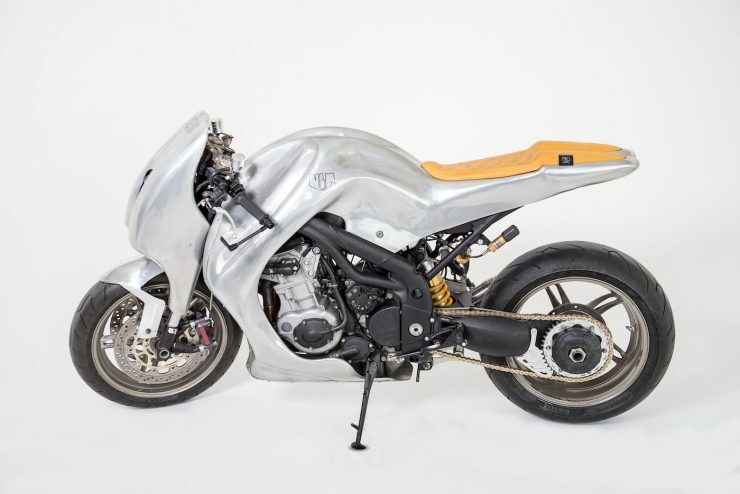 The original forks were replaced with a set of upside down units, the new front end includes twin rotor four-pot radial brakes for additional stopping power, and in the rear there’s a new radial brake and an Öhlins monoshock. 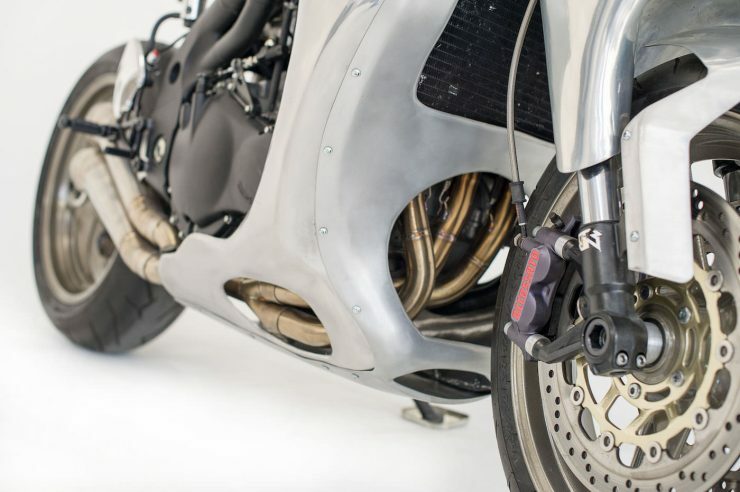 A custom exhaust finishes off the build – a bike now almost impossible to identify until you get a closer look at the engine. 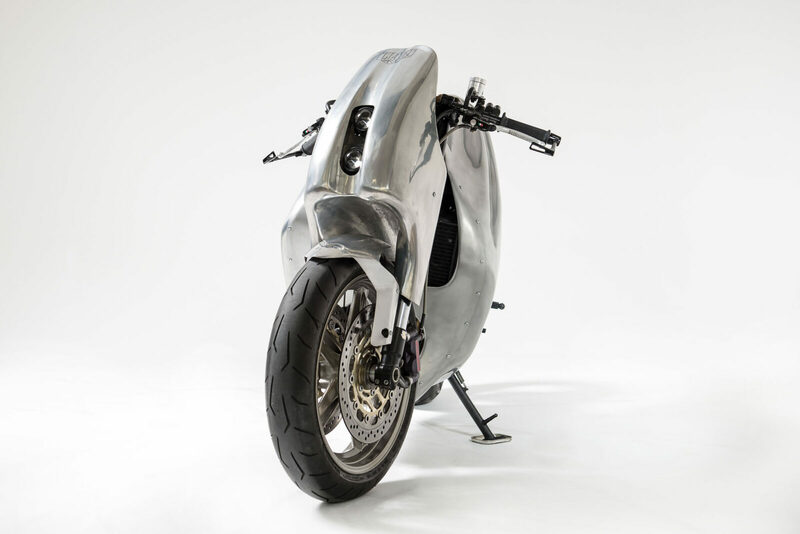 If you’d like to see more from Metalbike Garage you can visit their website here, or follow them on Facebook – or Instagram.